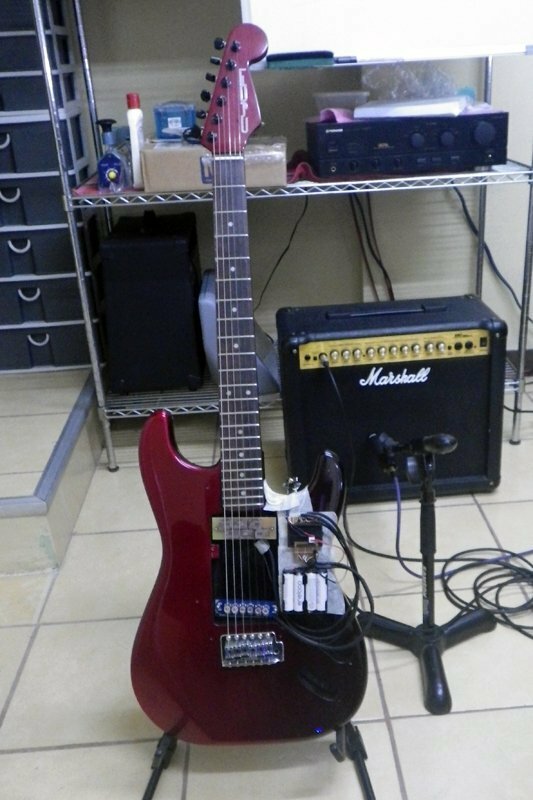 Meet Iron Man, one of our test guitars. You’ll immediately notice a Neo6 in the bridge position. But what is that thing in the neck position? Can anyone venture to guess? Hint: click to zoom and you’ll probably notice 6 more staggered, rectangular coils in there. If you can guess what it is, you are looking a very early prototype. Friends, this is our future! Sustainer! Very nice. Wanna try that for myself.